If you already practice not answering calls from numbers that you do not recognize, you may get even more practice next year. First Orion, a company that provides both cellphone management and protection to phone companies T-Mobile, MetroPCS, and Virgin Mobile, ran a new report that found that nearly half of all our calls will be scam calls by next year. 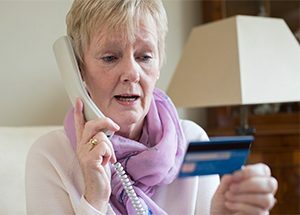 Often, these scammers use local prefixes or use a tactic called “neighborhood spoofing,” meaning that they disguise their numbers to look like ones that you feel safe to answer. Since last year, scam calls have increased from 3.7% to 29.2% this year. The number is predicted to hit 44.6% in 2019. Companies like T-Mobile are looking to take action by displaying “Scam Likely” alerts as a caller ID on all of their users’ phones. You can avoid scammers by ignoring unrecognized numbers. However, the issue dives deeper, according to Gavin Macomber, SVP of marketing at First Orion. He says that the problem requires network carriers to detect and eliminate the scam calls before they even reach your phone.